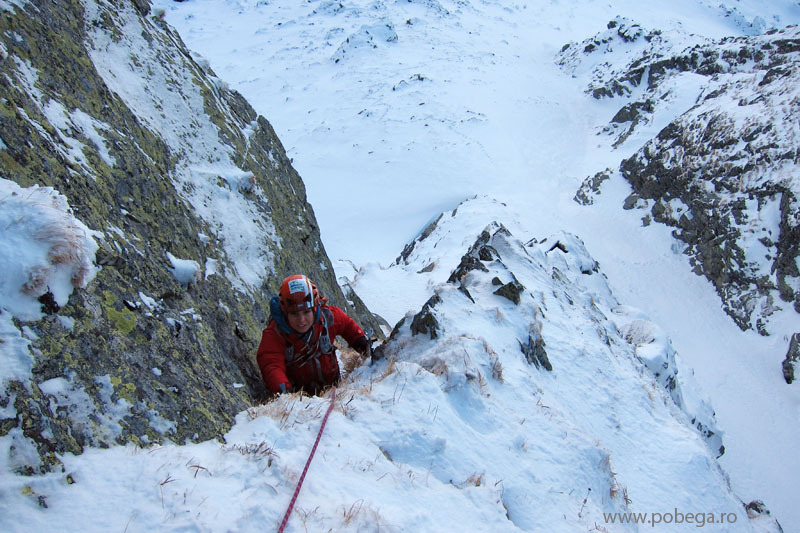 There are pegs on the routes, but is good to have 3-4 pegs with you for route no 3 (the hardest). 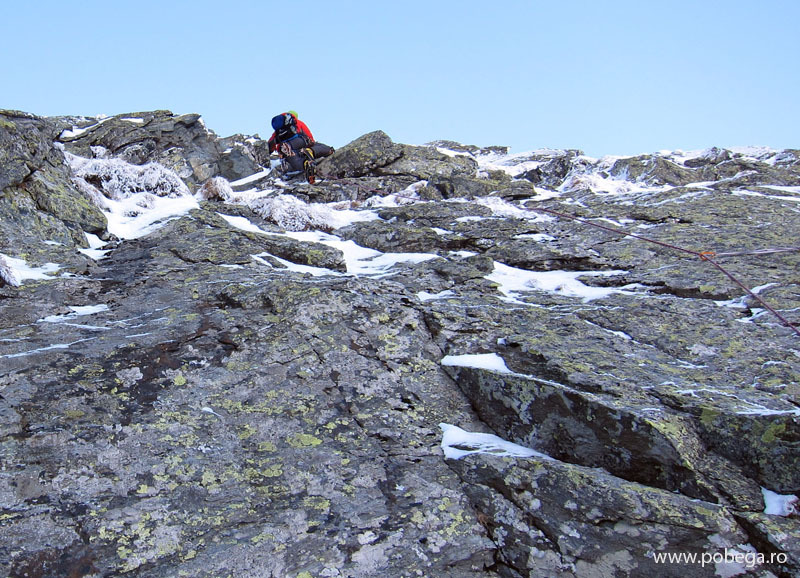 We also had a set of nuts and 3 cams with us (small size). 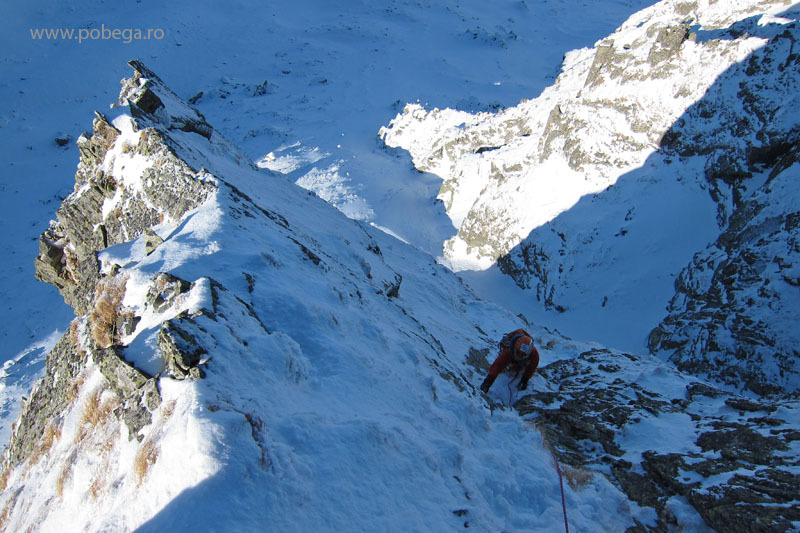 We used a 40 m rope. 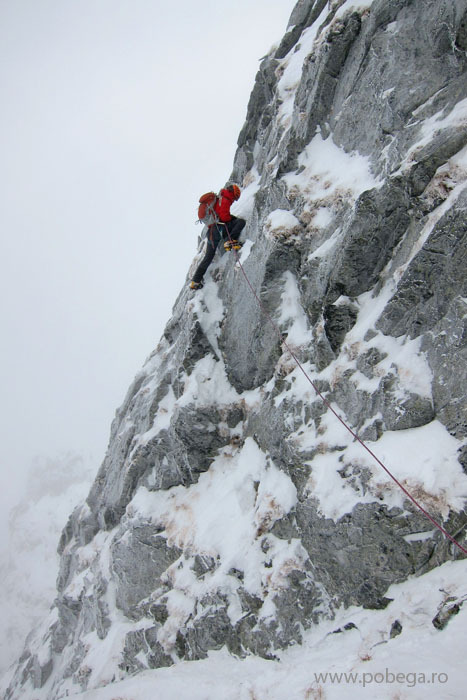 If you use a 60 m rope, you will get to the top in 5 pitches. 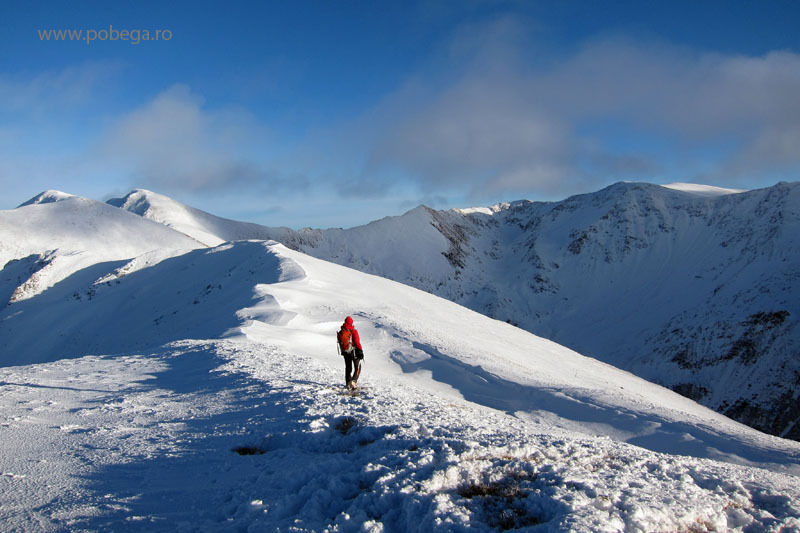 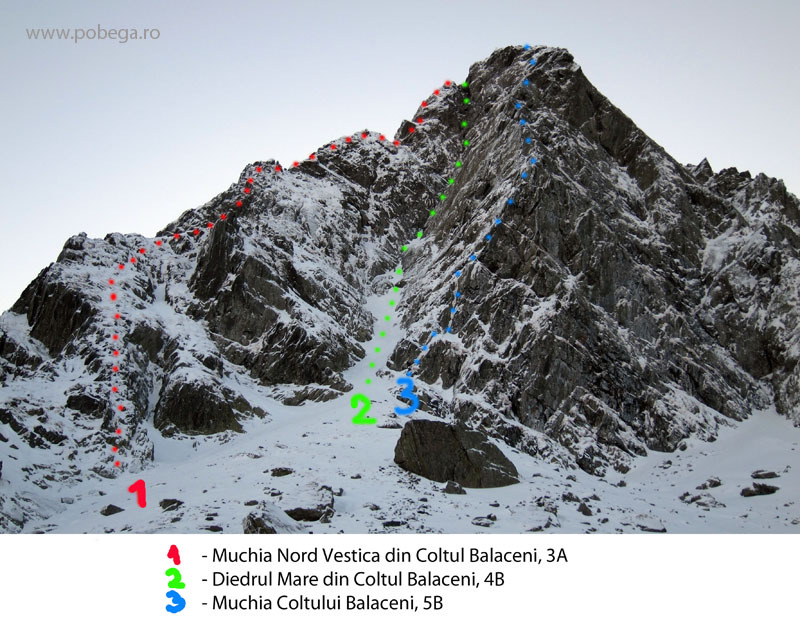 The climb starts at an altitude of 2000 m. From the top you can follow the path to the South till you get into the Fagaras Main ridge (marked) and then go West to Fereastra Mare a Sambetei where you can descend back to the North. 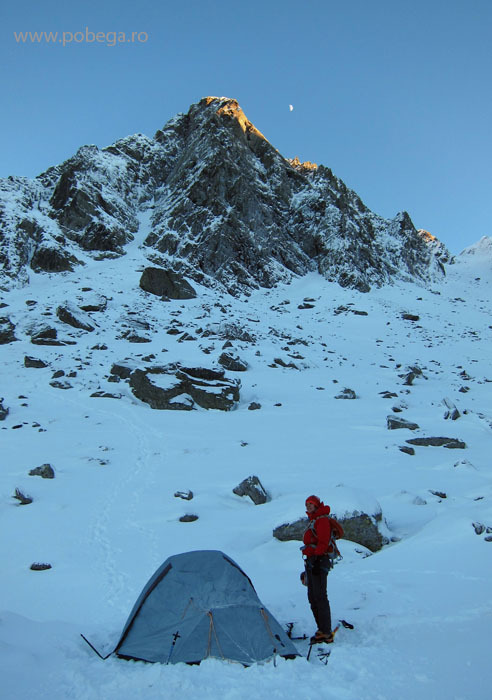 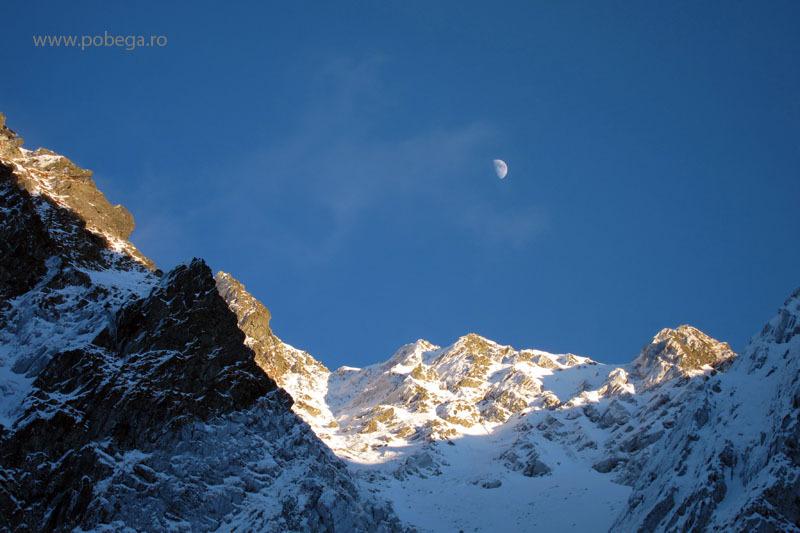 You should consider a full day for approach if you start from Sambata de Sus Monastery, or 2 h from Valea Sambetei Chalet. 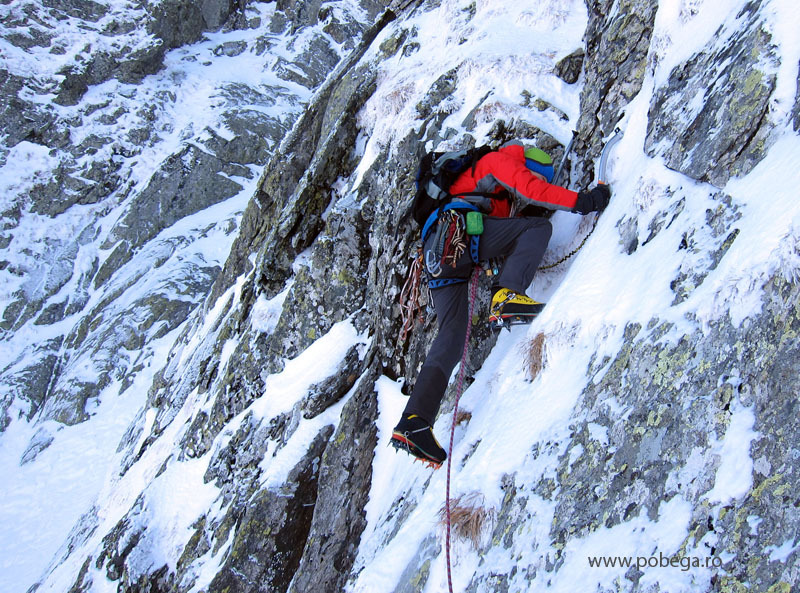 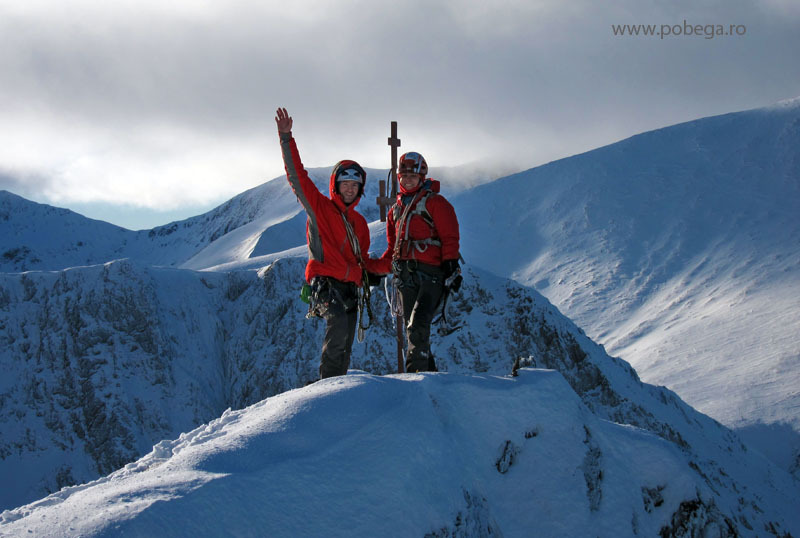 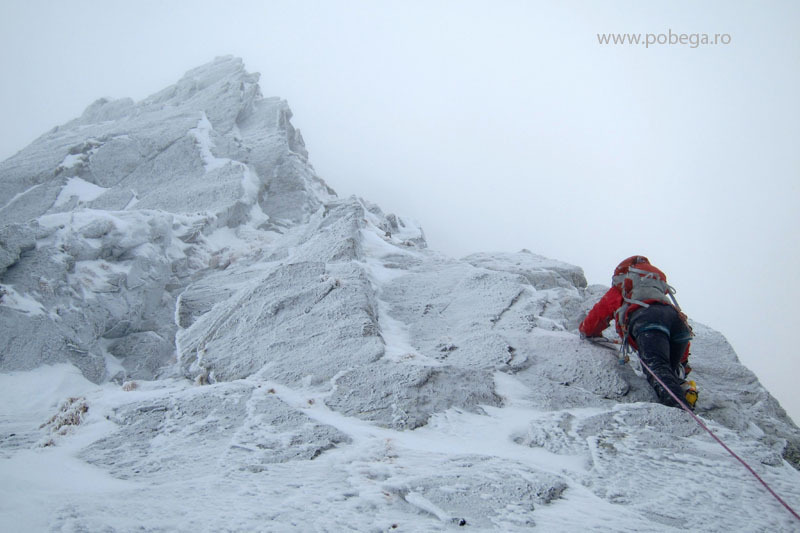 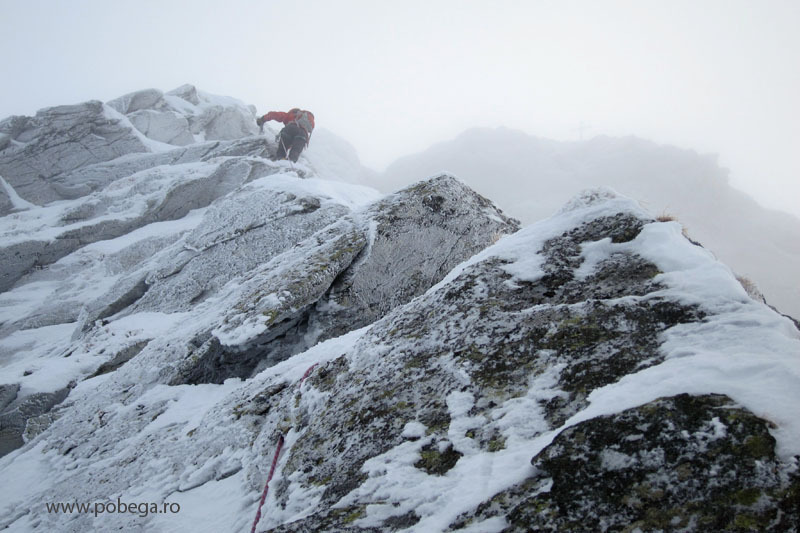 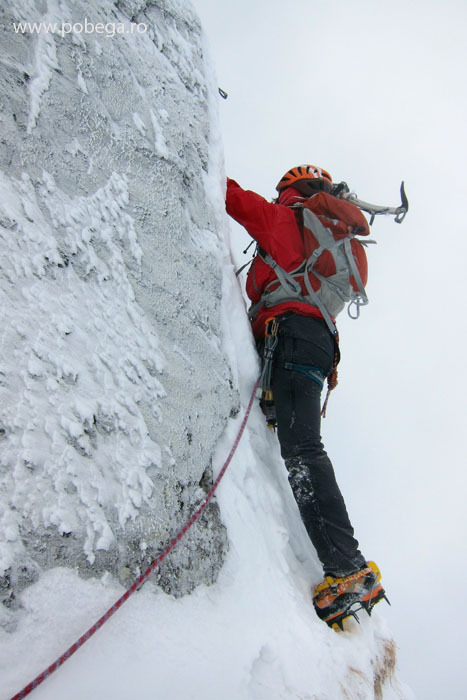 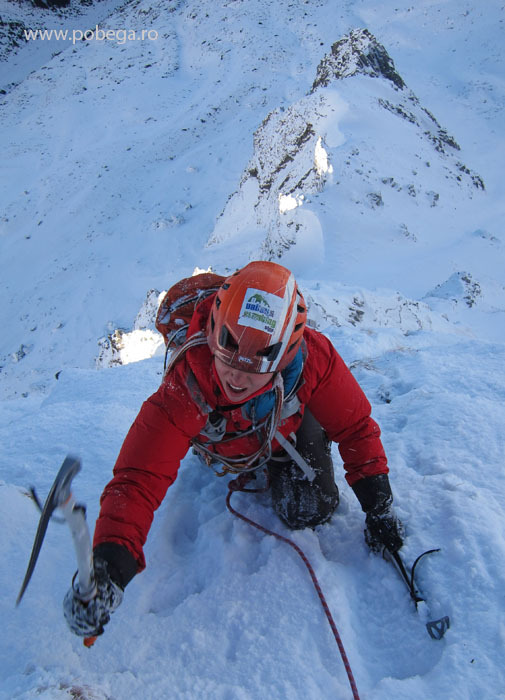 For a more detailed story of our climb, please see Silvia’s articles here and here. 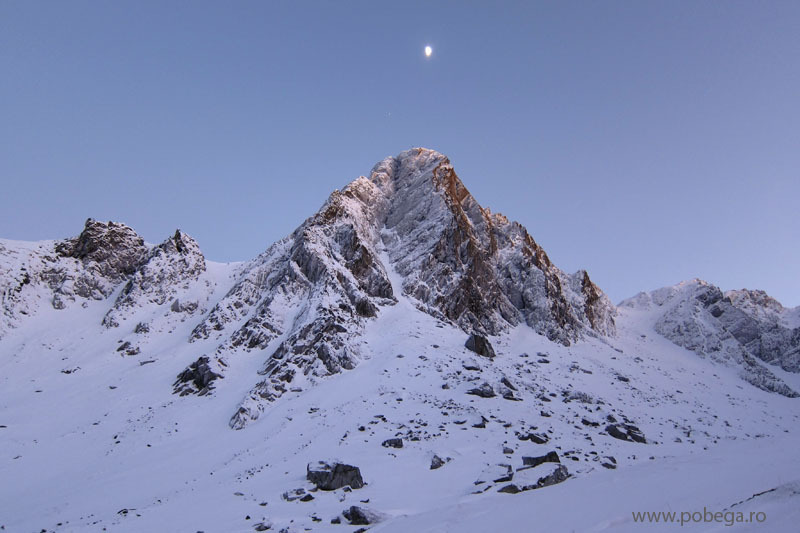 Ce imagini superbe! 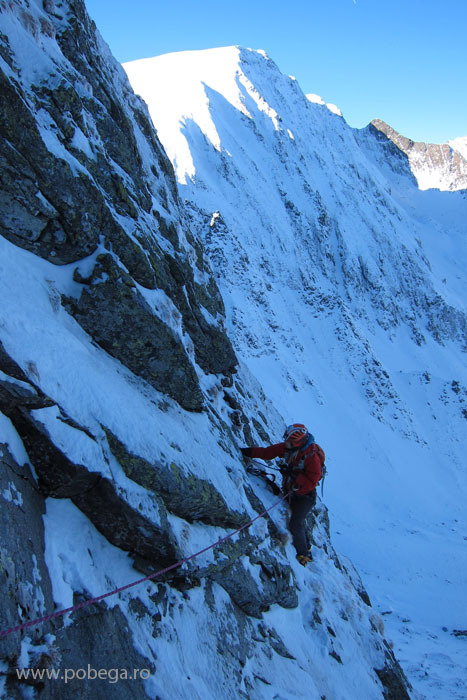 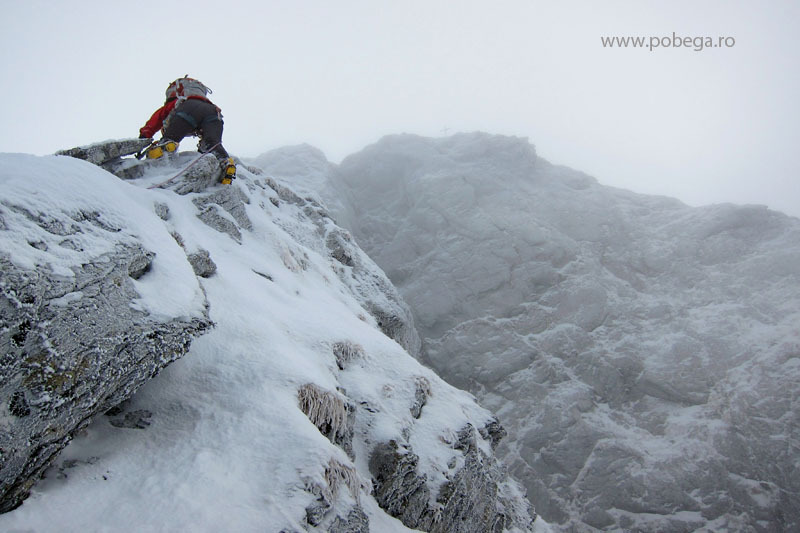 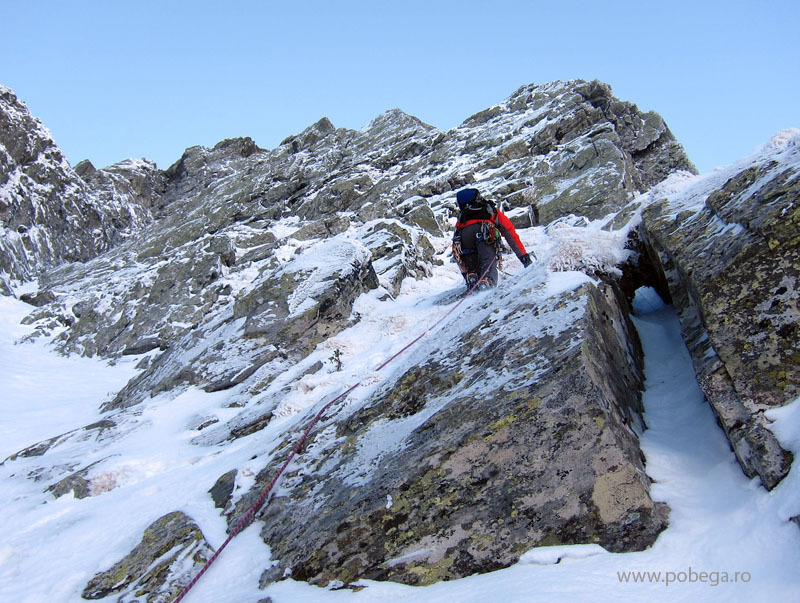 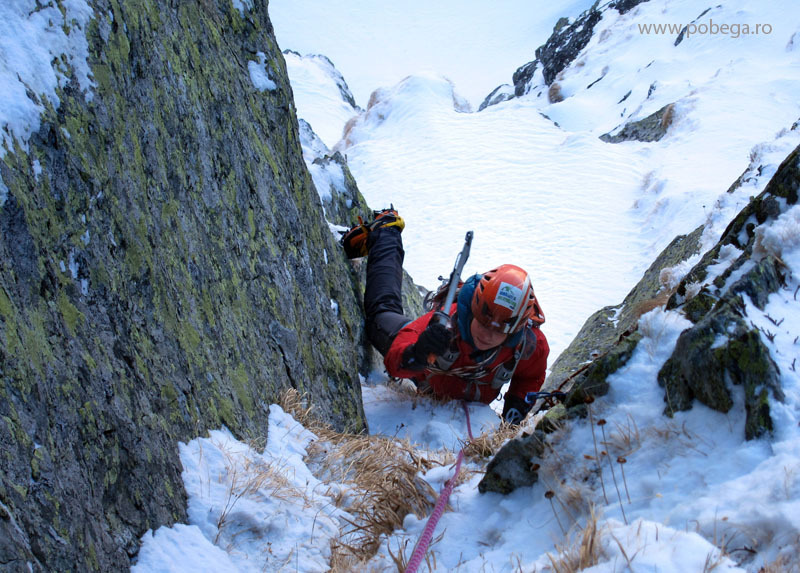 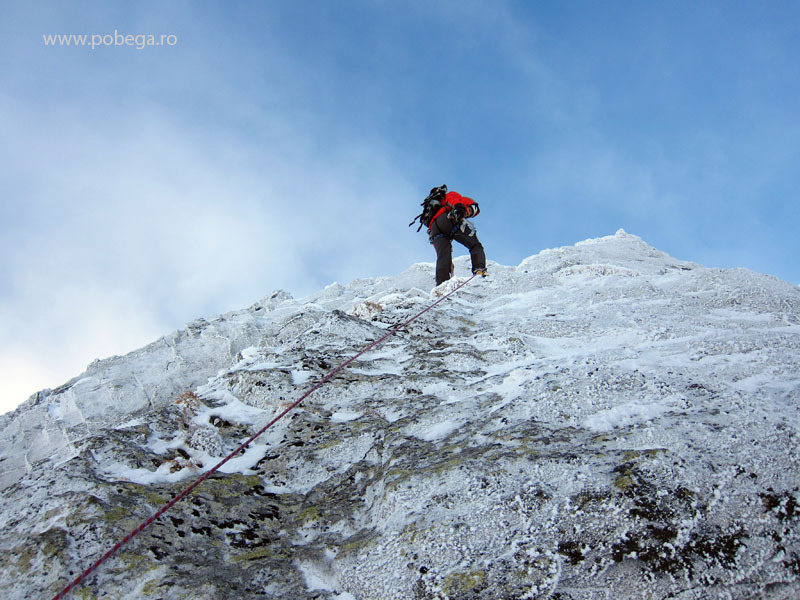 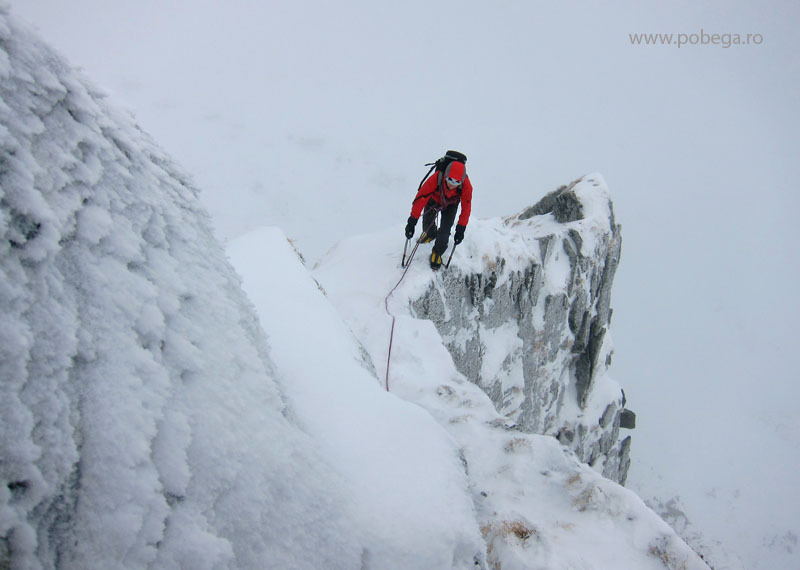 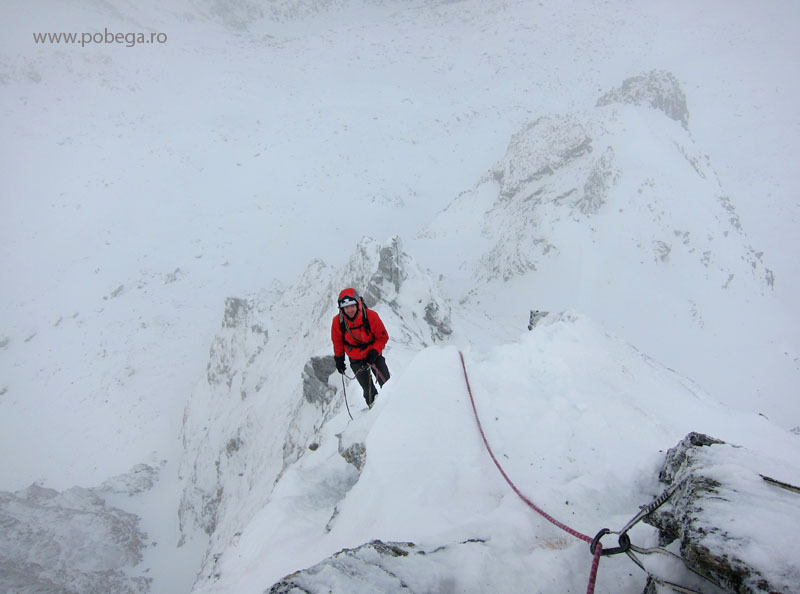 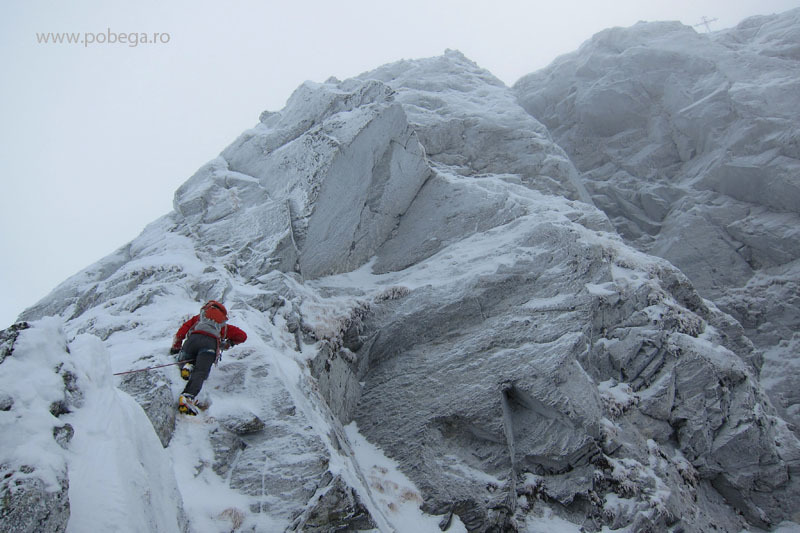 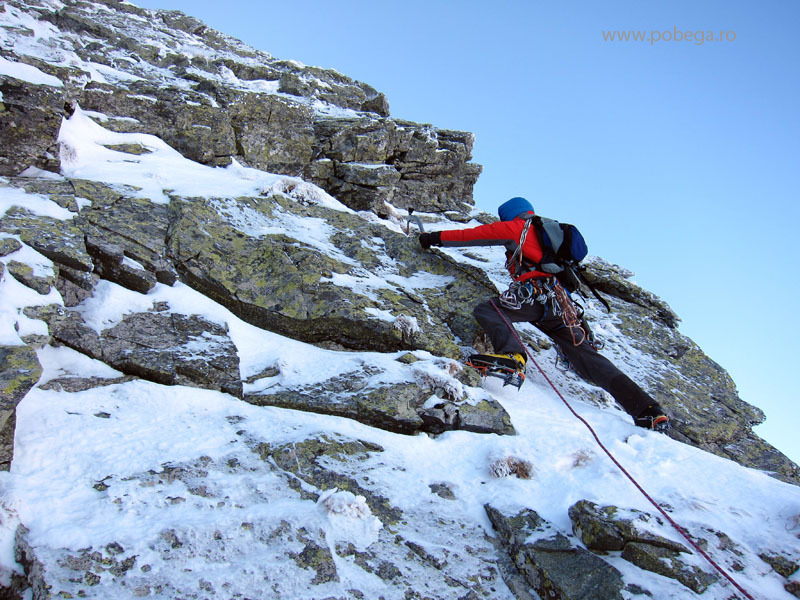 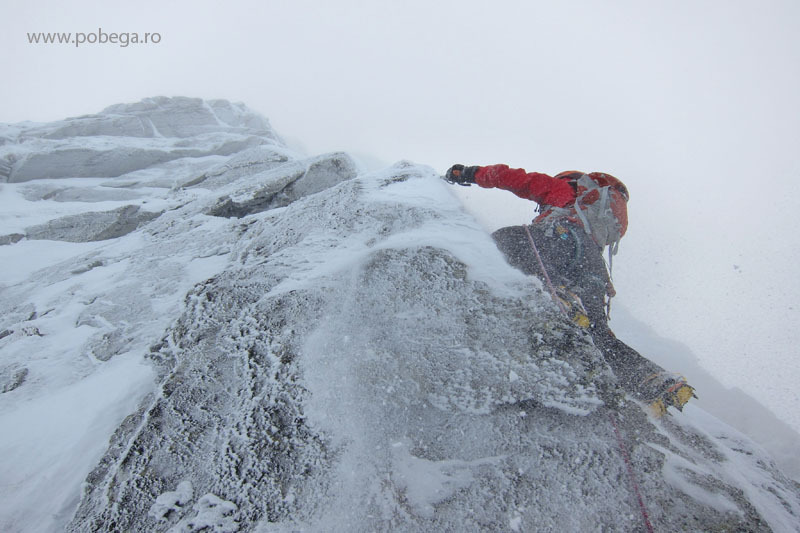 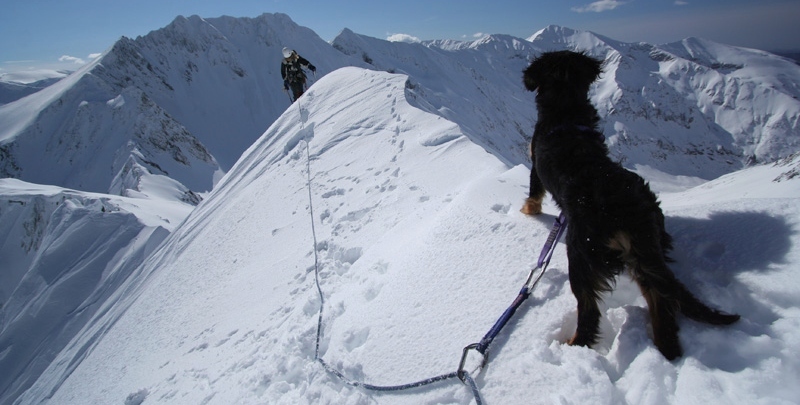 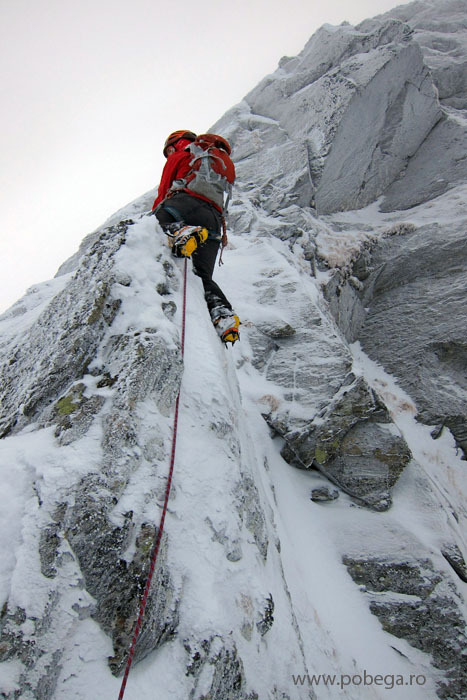 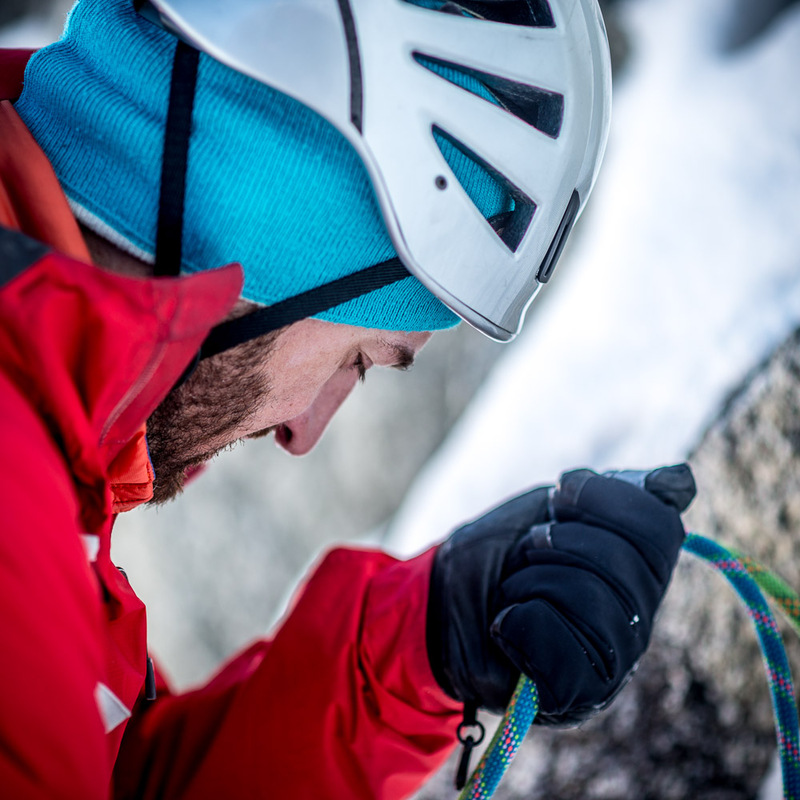 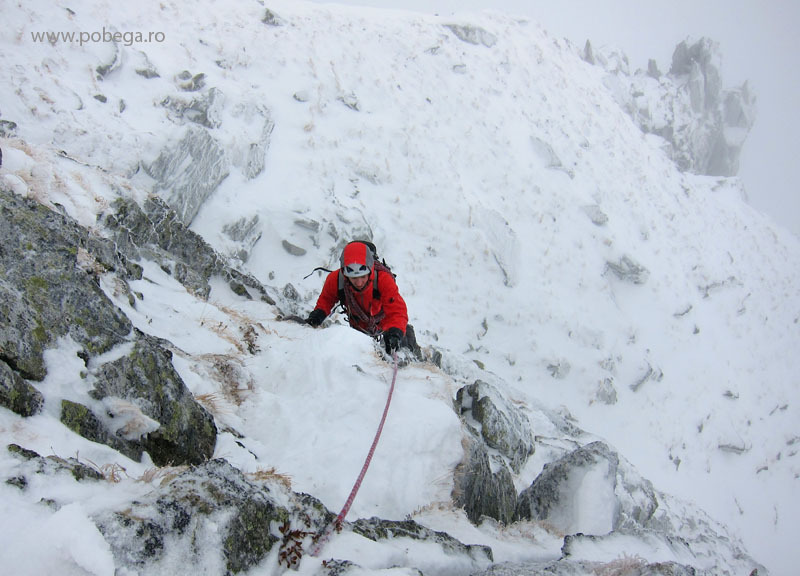 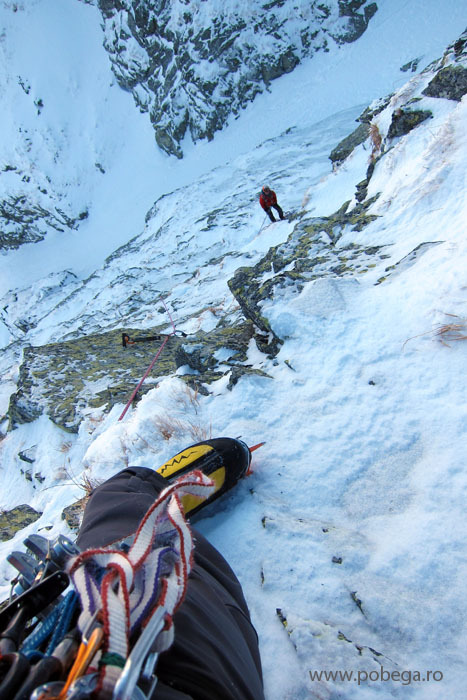 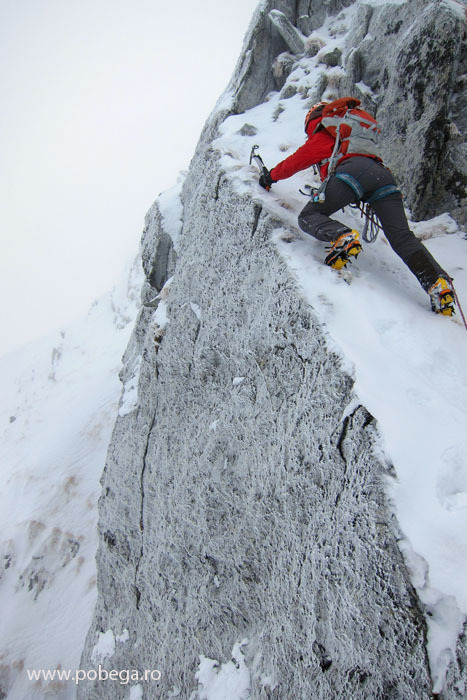 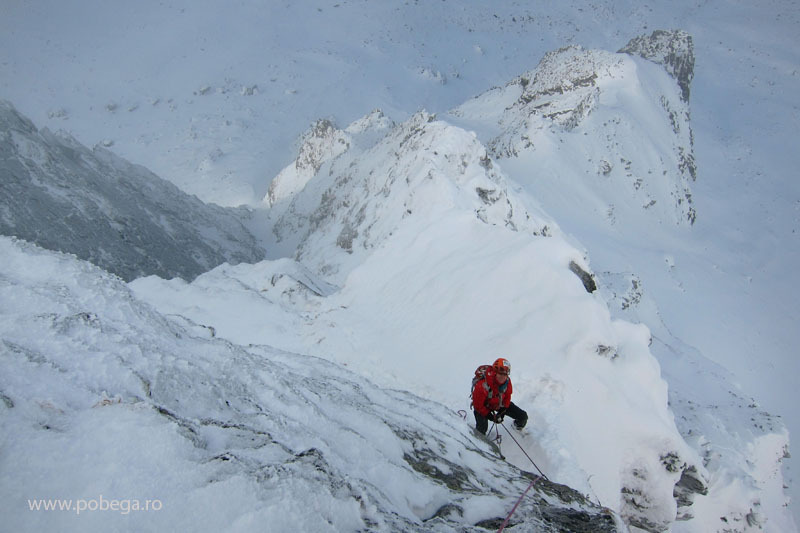 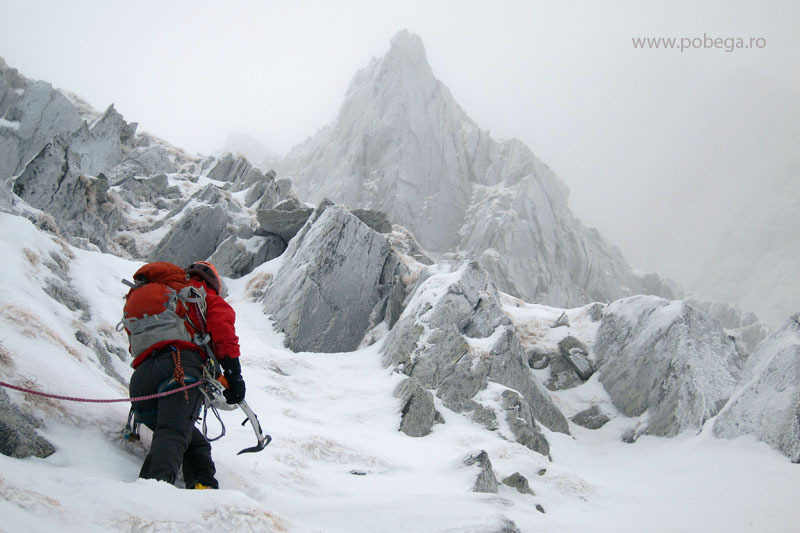 As vrea sa aflu Mai mult despre ceva alpine si ice climbing in zona.